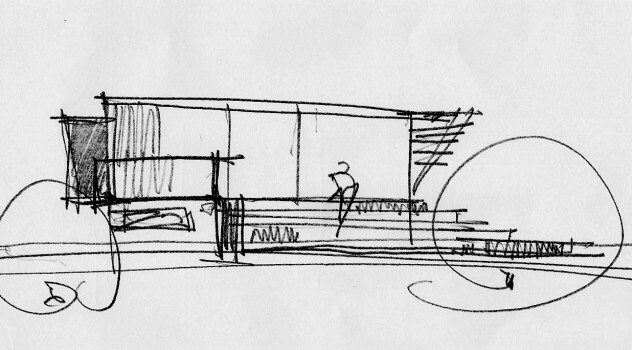 The existing rectangular two level house was skewed to the boundary lying along an east-west axis. 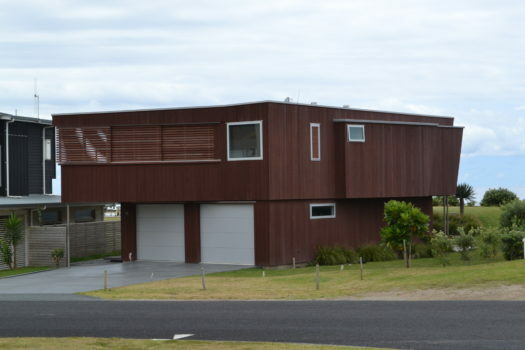 One of the aims was to align the house more to the site boundaries, whilst keeping any additions behind the development line, as the site was in a designated coastal hazard area. The house was extended to enlarge the open plan living and kitchen areas, adding a screened deck, a new entrance, an additional guest area, and a separate laundry, along with additional garage space for sports equipment. Important was the creation of an easy transition to the higher ground on the beach and dune side of the house, using wide steps and benches to sit on and against. In this way the building gained a connection to the site. The renovation also includes two angular popout additions to the south to enlarge the main bedroom, and provide the space for an ensuite and separate bedroom. 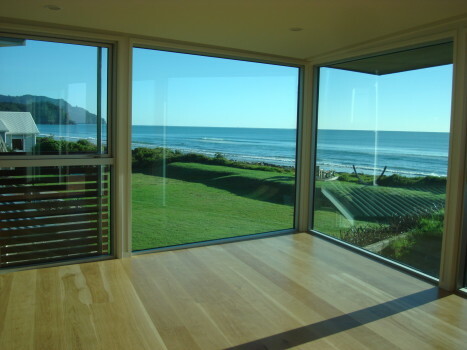 The ensuite has a view to the ocean. 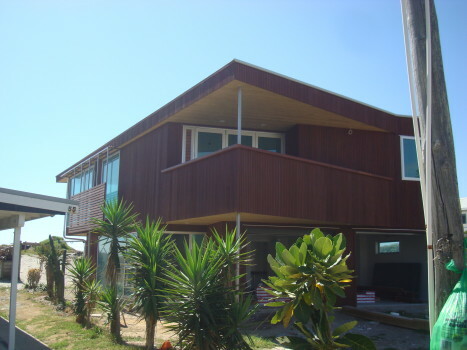 The vertical cedar weatherboards and sliding timber screens will grey off in the tradition of a beach shack.